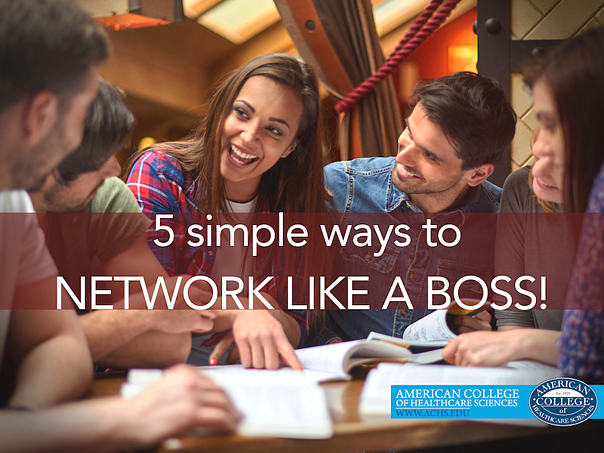 5 Simple Ways to Network Like a Boss! Attending conferences is a great way to extend your holistic health network. Presenters at conferences are there to share their knowledge and expertise. However, we can also learn from our fellow conference attendees. Everyone is at the event for the same reason, to grow and learn. Why not learn from each other? I’ve been to a few conferences in the last year, the National Association of Nutrition Professionals (NANP) Conference & Expo was the most recent, and I’ve learned quite a bit about how to be successful at these events. The following are my five tips for networking like a boss at a conference. Besides the plethora of knowledge you’ll gain at a conference, you’re also there to connect with others. It is important to be prepared, especially as a business owner, with marketing tools, whether it is business cards, pamphlets, or a QR code with free offer when they visit your website. Exchange cards with every person you meet. You never know: you could be a needed asset in their lives, careers, or businesses (see tip #5). Having business cards to pass out shows that you’re serious and ready for business. It’s also the easiest way to trade information and make a lasting impression. 2. Be open and warm. The last few conferences I’ve attended, I’ve gone by myself. This can feel intimidating, but there are simple tools to help make connections. In his landmark book, How to Win Friends and Influence People, networking guru Dale Carnegie advises us to keep smiling—it makes a great first impression. When I walked aboard the Queen Mary for NANP 2016, I was armed with an open heart and a smile on my face. Was I a little self-conscious being by myself? Yes. However, I knew there were others feeling the same way. Whenever I saw someone standing or sitting by themselves, looking around unsure or maybe looking for somewhere to sit, I made it a point to make eye contact, smile, and introduce myself. I was able to meet some really phenomenal people this way. A few of the conversations I had with various people at NANP inspired me to work on some new ideas for my lifestyle coaching business. Be the type of person you would love to meet when in a new situation. Smile, be welcoming, engage, and share your business card or other networking materials. Which presentations are you looking forward to? Have any of the presentations given you ah-ha moments? Have trouble keeping up a conversation? These conversation builders will help. Lots of folks attend conferences by themselves…more than you’d think. They’ll be just as happy to have someone to chat with. Be that person. It’s important to nurture the connections you make at conferences. Taking classes online as well as being an Internet solopreneur, I’ve seen the value in nurturing the connections I’ve made with other people on similar journeys. We can all learn so much from each other! Whether a solopreneur or not, it’s important to create a community of people on similar paths to turn to for support and inspiration, as well as being able to brainstorm ideas with. As you collect cards, make note of the people you’ve really connected with. Post conference, shoot them an email and begin to strengthen that connection—but make sure you standout. Remind them of your conversation. Ask them about themselves. Keep your email short and to the point. Remind them of your contact info. After NANP, I reached out to a few women whom I was interested in creating a mastermind group with. In my email, I plainly stated that I wanted to stay in touch, be a support as their businesses grew, and trade tips and tricks. Once again, my mission was to stay open and to be exactly what it was that I needed for someone else. Although they already had my business card with my information on it, I shared my phone number and how to find me on the Web and made it clear that I would love to be in contact. Each email was returned with excitement and gratitude. If you’re introverted (and even if you’re not), being surrounded by people, many of whom are renowned experts in your field, can be overwhelming, and frankly, terrifying. This is okay. Feelings of self-consciousness, vulnerability, and self-doubt are natural in networking situations. This means you are out of your comfort zone. Acknowledge this, and move past it. In his book, The 4-Hour Workweek, productivity expert Timothy Ferris encourages us to leave our comfort zones. There is no “I’ll talk to that person tomorrow.” For true effective networking and productivity, he says, you need to act in the now. Talk to that nutrition expert in the conference coffee line. Ask them how their day is going. Never eat alone. Crash that cafeteria table where everyone looks like they’re having a great conversation. Networking can often feel self-serving. And if you’re looking for connections solely for your own benefit, people will pick up on that. Offer to help someone who has their hands full; carry their things to a lecture. Bring an exhibitor or lecturer a glass of water. Carry a box of pens or notebooks to handout to folks who need them (almost everyone!). Offer to share a taxi or Uber at the end of the day when everyone is leaving the conference hall. There are a thousand ways to make connections—and being helpful is one of the most effective. As humans, we’re all looking for the same thing: connection. We can have fun building relationships! We just need to get out of our own way first. Miriam Popp is a lifestyle advisor and the owner of Vibrant Lifestyle Coaching, an online coaching program that advises amazing women on how to live healthy lives utilizing holistic protocols, stop the cycle of limiting thoughts, and live the life of their dreams. A few years ago, she decided it was time to learn tools to help her live a healthy, balanced life. This quest for knowledge led her to the American College of Healthcare Sciences, where she is currently enrolled in the AAS in Health and Wellness program. After 13 years as a hairstylist, she decided it was time to serve others in a deeper, more meaningful way and started Vibrant Lifestyle Coaching where she utilizes the tools she’s currently learning at ACHS.